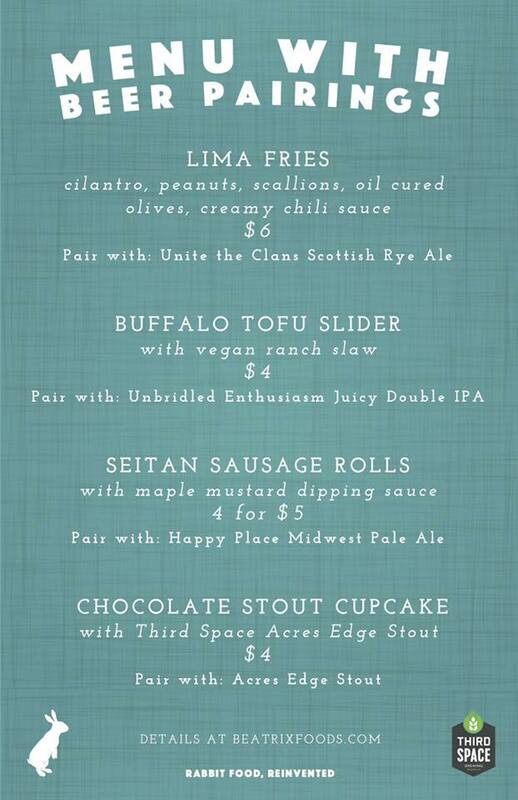 On April 28, Beatrix Foods will host a Vegan Pop-up during Milwaukee Beer week at Third Space Brewing from 6 pm – 8 pm. Beatrix will offer a menu that will be paired with Third Space Brewing beers. They will offer dishes like Buffalo Tofu Sliders, Seitan Sausage Rolls and more. Check out the full menu and pairings below.